Complete axle rebuilds, which includes new ring and pinion, new carrier bearings, new pinion bearings and new pinion seals. We also service trailer axles and bearings. 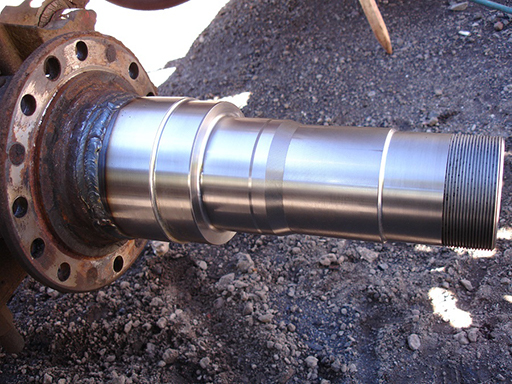 Custom axle housings, welding and fabrication services. New mobile axle and spindle repair services. New carrier and pinion bearings, pinion seal, new axle bearings and seals in semifloat style axles (in full-float designs axles, it is not always necessary to replace them), standard 80-90 gear oil, additive if needed, and labor. Ring & pinions and carriers are only replaced if the parts are bad, in most cases both can be reused. Our mission is to give you the customer the best quality job for the best price. We do not keep a lot of parts on the shelf which helps to keep our prices low. Normal shipping is 3 days, however 2 day air and overnite is available at additional costs. We build custom axle housings for both front & rear applications. Customizations can include trussing, brackets and steering mounts for your specific needs. A completely portable spindle repair system. We come to you! We take broken and worn spindles and make them new again. All rebuilds and work performed is warrantied for 12 months. This applies to normal driving conditions. A vehicle used for, but not limited to, racing, off roading, rock crawling, running oversized tires and any abusive situation will not be warrantied. 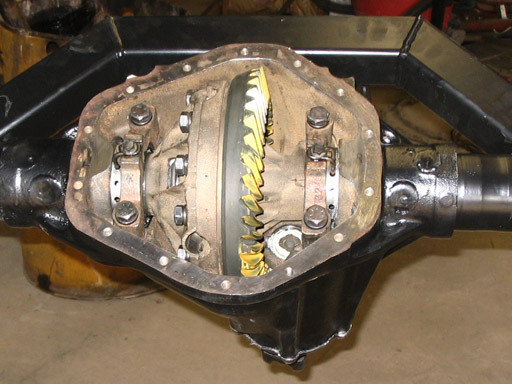 Gears overheated by improper break-in or by any of the conditions listed will not be covered by warranty. Labor and parts will be charged accordingly. If the parts are supplied by the customer, the customer is responsible for manufacturers warranty on the parts. If CT Axle Service purchases the parts, we will take care of dealing with the manufacturers warranty, provided the above conditions are followed.